and #1,975 in Entertainment & Celebrity in the ZIG Index. Don’t miss out! See all of the latest from Cam Gigandet and more on ZIG. Cam Gigandet And Dominique Geisendorff Welcome Baby No. 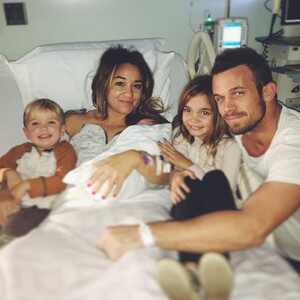 3: Update: After The Arrival Of Cam Gigandet And Dominique Geisendorff's Third Child, The New Mom Shared A Picture Of Her Happy Family On Instagram. "Party Of Five! Cam Gigandet And Dominique Geisendorff Welcome Baby No. 3: And A Baby Makes Five! Cam Gigandet Welcomes Third Child See Daughter Armie's First Photo!